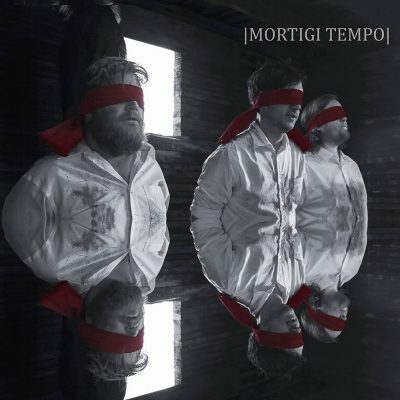 Provo-based Mortigi Tempo released their latest album, Memento Mori, this summer, and out of nowhere, it developed into a concept album. Imbuing surf rock– and Ennio Morricone–like instrumentation, Mortigi Tempo have created a spaghetti Western mélange in this latest effort. “On this album, many people have come across the idea of this almost being our Pink Floyd, Animal Collective type of idea, or even some Morrissey,” says guitarist/vocalist Chris Fallo. “I always just loved the Spanish guitar, that surf, spaghetti Western feel.” Think The Good, the Bad & the Ugly. They feel that this endeavor is more than a collection of tracks and that it necessitates a thorough listen of the whole album due to its depth. “You can’t just sit back and listen to one song and you go, ‘OK, I like that song,’” Fallo says. “You can stuck listening to the whole, entire album because it’s almost emotional.” Guitarist/keyboardist/vocalist Nicholas Allen heralds the flow from start to finish in the album and its attention-grabbing qualities. “Our music is always growing and always changing,” Allen says of the Mortigi Tempo record collection comprising Bob Your Head, Suzie, Dead Water and Memento Mori. The band strives to evolve their sound from record to record. They assert, though, that the best way to experience the band is live, whether it be at ABG’s in Provo or on a prospective West Coast tour. Find Mortigi Tempo’s music at mortigitempoband.bandcamp.com.